Developer James Harris has launched his FlashCards To Go iPad app on Monday, and is the first iOS program written in the Enyo 2.0 framework following HP's decision to make webOS available to open-source projects, reports The Verge. Apple's iOS is the sixth mobile platform to support the FlashCards To Go learning tool, and Harris hopes to leverage Enyo's flexibility to bring the app to Mac and BlackBerry sometime soon. The $3.99 app currently runs on any iPad with iOS 5, with support for older versions of iOS coming in the future. Apple is opposing the plans of New Zealand-based mobile phone case maker Hayden Crowther to trademark the name "driPhone," and offers the suggestion that the letter "i" be switched with "y" to avoid confusion with the company's iPhone monicker, according to Stuff.co.nz. The iPhone maker claims that the driPhone trademark "would be likely to deceive or cause confusion" and that the proposed trademark is not in line with New Zealand law. "The applicant's trademark, or an essential element of it, is identical or similar to a trademark that is well-known in New Zealand," said law firm Henry Hughes, Apple's Wellington-based legal representation, in reference to the iPhone. 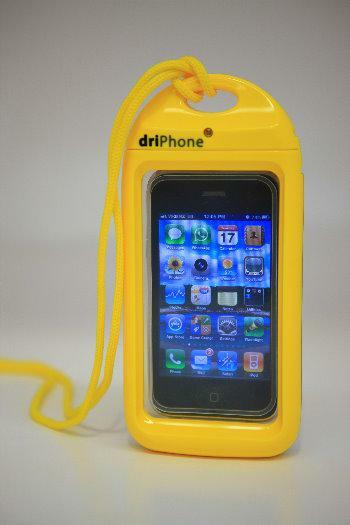 The currently-named driPhone is a waterproof case that fits an assortment of smartphones, including the iPhone as well as some Android models. According to the company's website, similar cases for the iPad and other tablets are coming soon. Crowther refuses to rename his invention, saying that the "driPhone" logo takes up less space than the proposed "dryPhone," and estimates that fighting a possible Apple suit would be cheaper than rebranding. He goes on to say that he will continue with plans to register the trademark worldwide.